Antonella Vitale lends her distinctive and refined voice to Jazz standards, accompanied by Andrea Beneventano Trio: with guest featured artists Antonello Salis on accordion and Giancarlo Maurino on soprano sax. 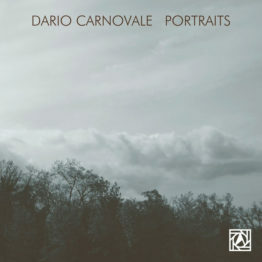 Recorded, mixed & mastered by Stefano Isola at Arcipelago Studio, Rome Italy. The first we’ve ever heard from singer Antonella Vitale – a deep-voiced singer with a really great small combo sort of vibe – and an ability to sing equally well in English and Italian! Most of the music here is in English – as the tunes are older jazz standards – but there’s a few Italian numbers that are especially nice, and which feature writing by Vitale herself, which is a very nice surprise! 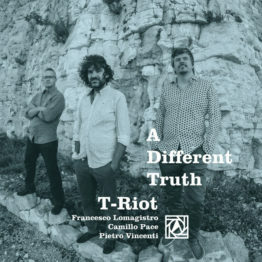 Backing is mostly by a trio, but a really lively one – with sublime work on acoustic bass from Francesco Puglisi, who really gives the music a soulful finish – and players include Andrea Beneventano on piano and Alessandro Marzi on drums – plus guest accordion from Antonella Salis on a few tracks. Titles include “Blue In Green”, “Take The A Train”, “Canoeiro”, “Eu E O Vento”, “But Beautiful”, “Preludio”, and “The Shadow Of Your Smile”. © 1996-2015, Dusty Groove, Inc.